Fiat wins the coveted ‘GrandPrix 2018 trophy’, Italy’s top advertising award, for the first time with its “Tribute to 500 – Integrated Mktg Communication Campaign”. 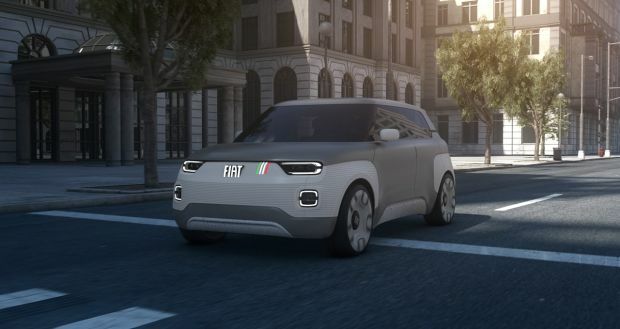 Comprising three projects created to celebrate the 60th anniversary of the iconic Fiat 500, the integrated campaign also received first prize in the ‘Leader-Evergreen’ category. The “Fiat 500 Missing Parts” commercial video was also a prize-winner, both in the ‘Leader-Flexible’ category and as recipient of the ‘New York Festivals Special Award 2018′. The Fiat brand triumphed at this year’s ‘GrandPrix advertising strategies”, Italy’s top advertising award, winning the coveted first prize for the first time and also collecting two category victories and a special prize. This was the amazing result of ceremony held yesterday evening at the Teatro Nazionale in Milan, hosted as usual by Piero Chiambretti. Taking place for the 31st time, the prestigious ‘GrandPrix advertising strategies’ competition attracted top Italian and international creative agencies working in advertising and strategic marketing. The evening was dominated by the advertising projects created for the timeless 500. 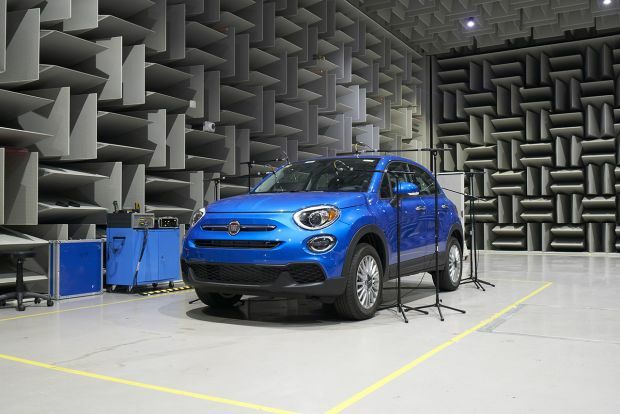 This was a well-deserved accolade for the Fiat brand’s small car, which has remained true to itself and ‘forever young’ over sixty years of history and lifestyles, fashion and society. Unlike other advertising industry awards, the ‘GrandPrix advertising strategies’ does not focus its attention on creativity alone but also on the construction of a genuine brand strategy, which underlies the creative concepts themselves. The competition is divided into categories and all individual category winners are considered for the final award. 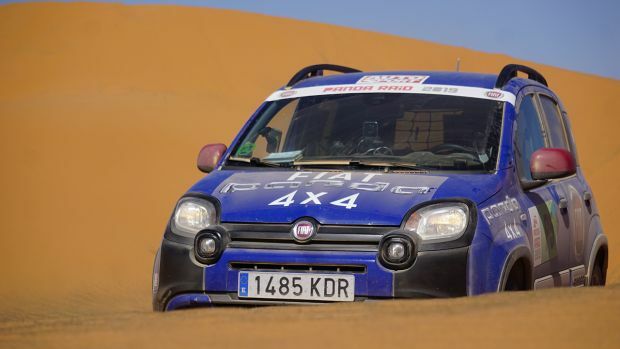 This year the award in the ‘Leader-Evergreen’ category and the coveted final ‘GrandPrix 2018′ award went to the “Tribute to 500 – Integrated Mktg Communication Campaign”, comprising the “See you in the future” short movie; “The Fiat 500 Forever Young Experience” European tour and the “Fiat 500 – 60th Anniversary” video by Cyriak Harris. In particular, the “See you in the future” short movie, is the first Fiat has ever produced, and stars Oscar® winner Adrien Brody. Directed by Ago Panini for the Leo Burnett agency, the film was shown for the first time on 4 July last year – the official 60th birthday of Fiat 500. It delighted audiences with its story set in 1960’s Milan – the city that epitomises Italian style and fashion, and playing on the contrasts between past and present. In the video, Adrien Brody is suddenly transported from the Sixties to a present-day context, leading to a number of hilarious misunderstandings with Italian actress Anna Manuelli. The trait d’union between the years of Dolce Vita and the present, is the Fiat 500, with its sixty year-long success story. In fact, the central female character wears a vintage dress but drives a gleaming Fiat 500 Anniversario, the special series produced last year to celebrate the model’s 60th birthday. The two young people enjoy a day in Milan together on board the new Fiat 500 Anniversario, in a mix of past and present, with a few amusing misunderstandings to underline the fact that they come from different eras. 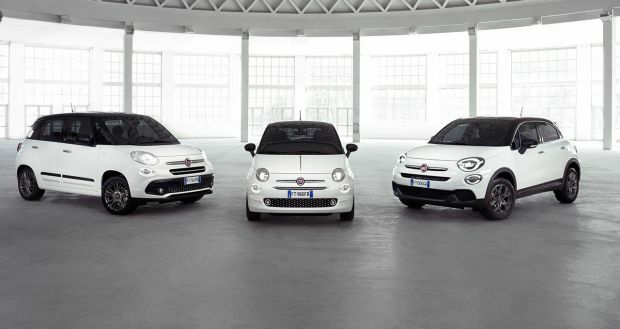 However, they share the same love for the Fiat 500, the icon that unites the generations with its style and timeless coolness. The short movie ends as Adrien Brody returns home. “See you again in the future, I hope”, he whispers. The final shot returns to the sofa and shows the actor waking up, leaving us in doubt about the distinction between past and present, dream and reality. The only certainty is that the 500 heritage and 500 Anniversario are the emblem of a timeless liaison in the history of the Fiat brand. The second project is “The Fiat 500 Forever Young Experience” European tour, produced by Ideal and already winner of numerous international awards. Its creative originality lies in the reproduction of 1957 in three cities – Cannes, Munich and Madrid – to celebrate the 60th birthday of the Fiat 500, in a real ‘journey through time’. Each leg of the tour optimised the local culture of each location, ending in Madrid with a jaw-dropping event featuring nearly one hundred actors and extras in costume, charming vintage shops representing Italian-made excellence in fashion, food and design, as well as the classic Fiat 500 cars. However, the undisputed star of every stage of “The Fiat 500 Forever Young Experience” project was the 500 special series dedicated to the 60th anniversary. It paraded along the seafront at Cannes – the French town famous for its International Film Festival – just like a film star, greeted by thousands of tourists. It received the same kind of homage on the distinctive Wiener Platz in Munich, one of the Bavarian city’s most famous locations, with its small permanent market and the nearby Hofbräuhaus beer-cellar. What’s more, over seven thousand visitors thronged in the lively Calle Jorge Juan da Calle de Serrano, one of Madrid’s biggest urban entertainment areas, lighting it up with the flashes of their cameras and smartphones to acquire shots of the car, produced in a numbered limited edition. 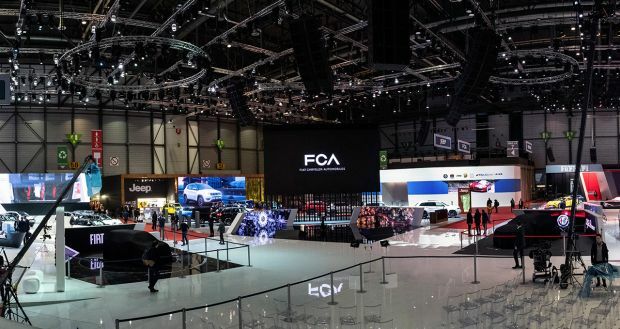 The third project included in the integrated campaign is the “Fiat 500 – 60th Anniversary” video by Cyriak Harris, shown on the Fiat brand booth at the Geneva International Motor Show last March. It is the work of Cyriak Harris, the famous British film animator globally famous for his surreal, psychedelic style, which he uses to create fascinating worlds. 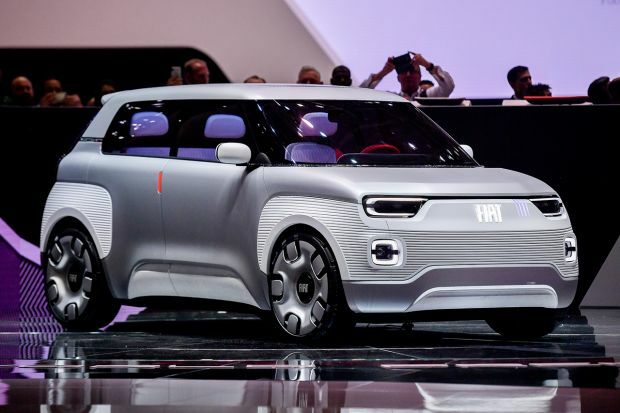 And Geneva was the starting-point for the celebrations to mark the 60th anniversary of Fiat 500, a “mythical” symbol which has transcended the automotive world, reaching out to other fields and to artistic contaminations to become a genuine work of art. And with the project by Cyriak Harris, conceived by Krow Communications, the “great-small car” now also speaks directly to the millennials. Interestingly, Cyriak is self-taught. Starting from simple animated GIFs in the early noughties, his creations today include video clips for famous performers. His technique creates a phantasmagorical story capable of expressing his ideas boldly and narrating a 3D world in motion. Last but not least, the “Fiat 500 Missing Parts” video was also a prizewinner, taking first place in the ‘Leader-Flexible‘ category and then going on to receive the ‘New York Festivals Special Award 2018′, assigned by an American jury of agency owners and creative directors. It was produced by the Leo Burnett agency and published on Facebook and YouTube on 8 March 2017 to celebrate International Women’s Day and say an unconventional ‘thank you’ to women around the world. The commercial video narrates the relationship between women and motors and pays homage to the fundamental technical contribution made by women in industry. We could not drive without fuel, and fuel was made cleaner and safer by the mineral catalyst discoveries made by US chemist Edith Flanigen. A woman invented the heating system and we can be sure to reach our destination thanks to actress and inventor Hedy Lamarr, whose studies were fundamental for perfecting the GPS. These women made it possible for us to enjoy practical, safe and comfortable cars.